Arthur Smith has been presented with an award by Bath Comedy Festival. The comedian, broadcaster and “famously grumpy old man” was handed the Bath Plug Award at the comedy festival last night (10th April). The Bath Plug Award, which is now in its fifth year, acknowledges significant achievement or contribution to comedy. The previous winners of the award – which is an engraved golden bath plug presented like a medal – have been Terry Jones, Peter Richardson, Barry Cryer and Rachel Parris. 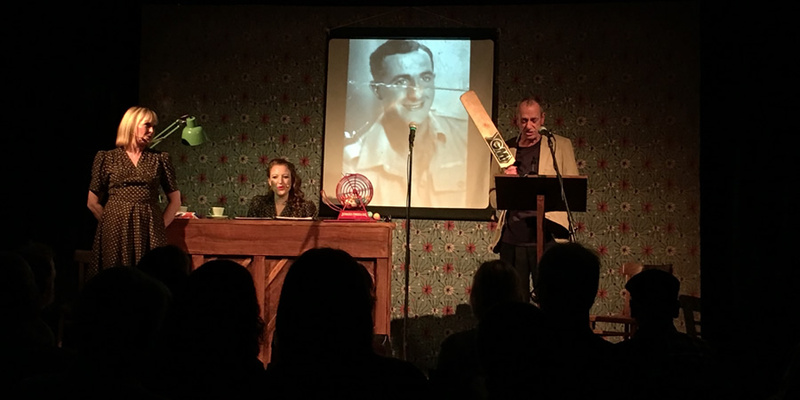 The presentation took place at one of the festival’s most popular core venues, Widcombe Social Club, at the end of a moving performance of Smith’s show Syd. Accompanied by The Smithereens, the show tells the story of Arthur’s father Syd, a POW and PC, on night duty in 1950s London – an ordinary man who lived through extraordinary times.